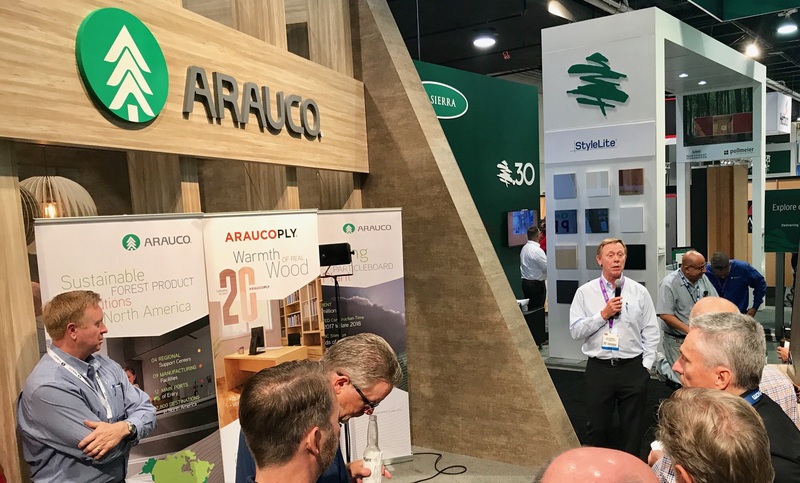 CHICAGO - A cross-laminated timber structure has been built in Chicago, bringing that city it's first high profile application of the wood construction material being used in high rise wood building construction. 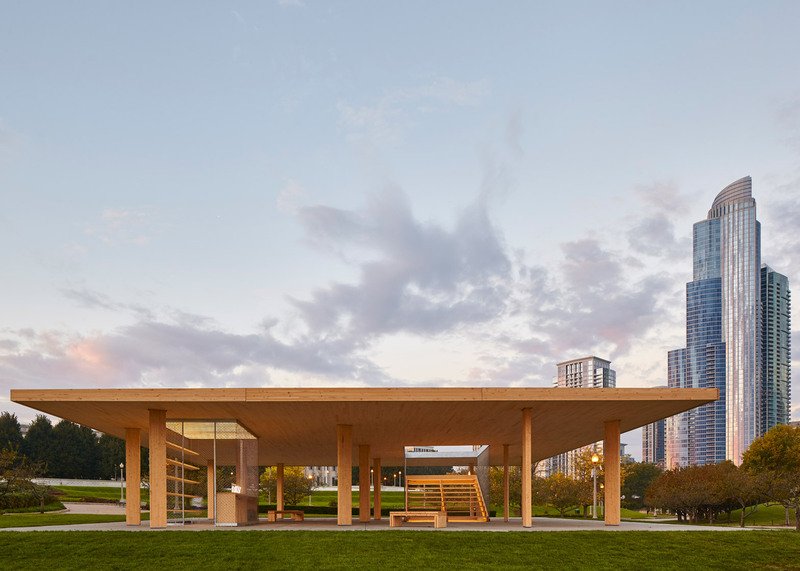 The Chicago Horizon project, by Ultramoderne, a Rhode Island architectural practice, was created as part of a competition, and represents "a quest to create the largest wood roof possible," in the words of the team - architects Yasmin Vobis and Aaron Forrest and structural engineer Brett Schneider, closely connected with the Rhode Island School of Design. 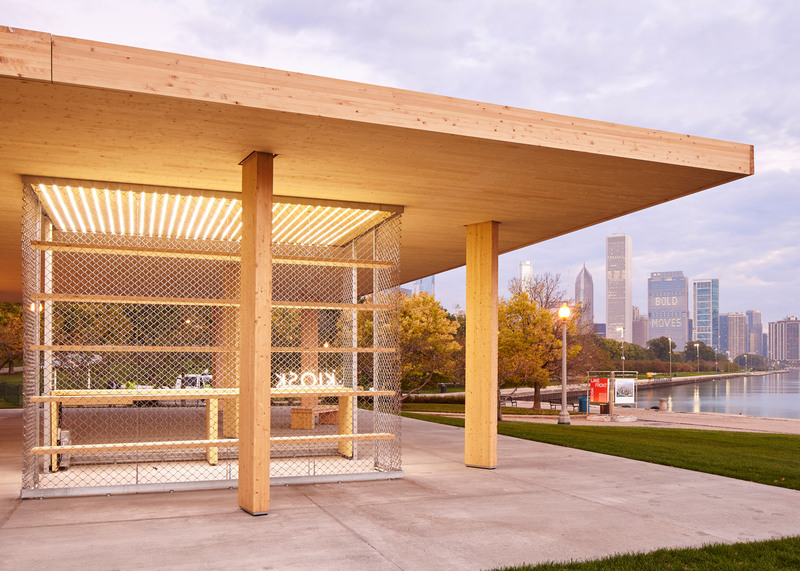 Chicago Horizon won the BP Prize in the Chicago Lakefront Kiosk Competition for the inaugural Chicago Architecture Biennial, running in the city thorugh January 3. 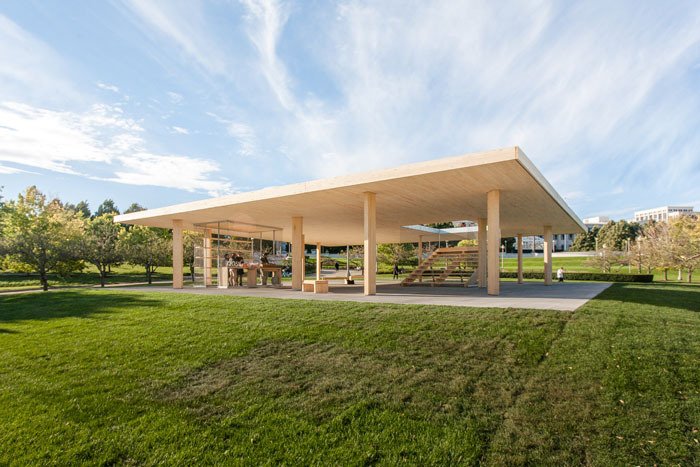 Support for both design and construction were provided by Nordic Structures, reThink Wood, and the Rhode Island School of Design. 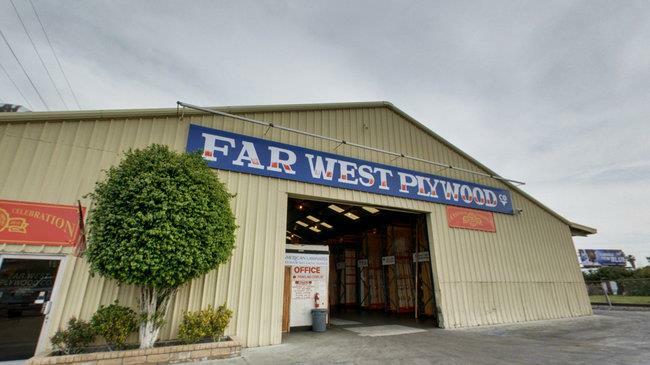 The design for the kiosk became a quest to create the largest wood roof possible—to demarcate a zone of the city for all to enjoy. 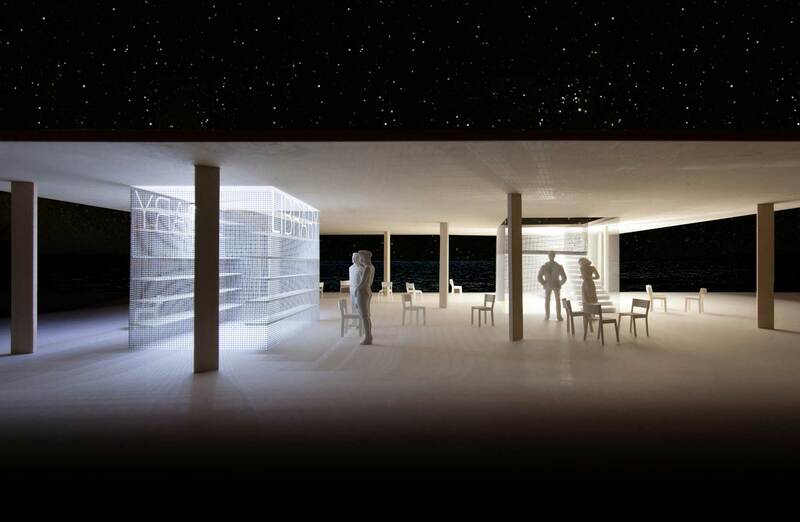 Inspired by two Chicago prototypes—Mies van der Rohe’s experiments in flatness and the Eames’ explorations of scale in Powers of Ten—we designed a 56’ square open roof with the largest clear spans possible: a fusion of Miesian rationalism with an American improvisational jauntiness. 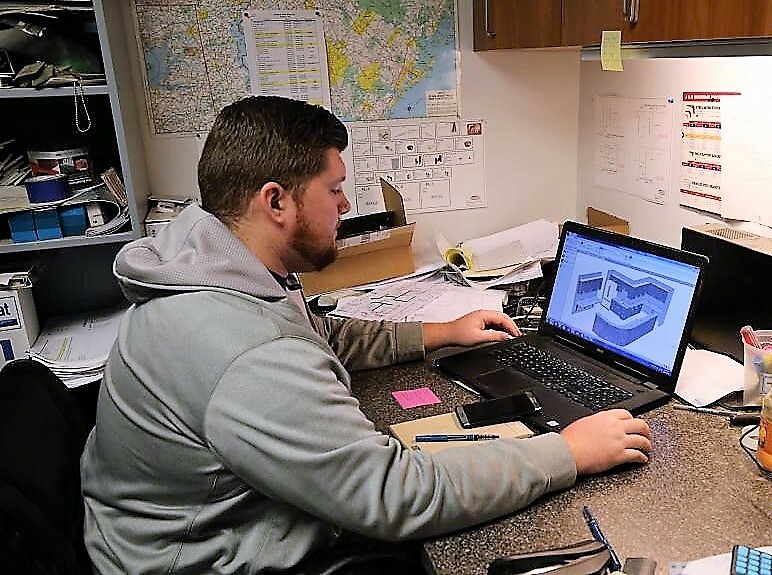 Rendering of the project depicts the LED lighting scheme.